Who Are The White Rose Group? The White Rose Group was established in 1992 to offer businesses and organizations, whether SME or large corporate enterprise, a unique cost-effective Import and Export solution covering the width and breadth of Iran. 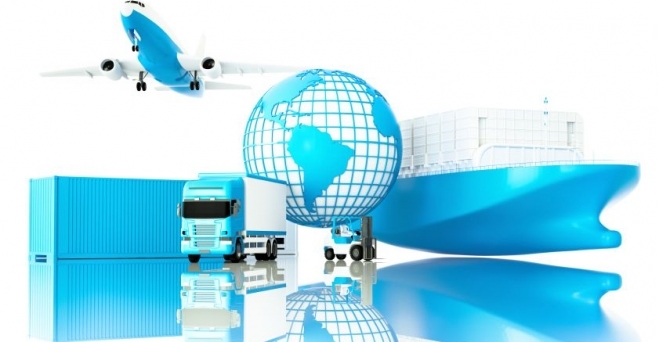 As well as being the destination or source country, freight forwarding via Iran is proving to be essential for reducing costs in international logistics. Over the last 20 years the White Rose Group has successfully grown and expanded beyond just a logistics company due to our reputation for excellent customer service and expertise. We can offer flexible and dynamic package of services to companies facilitating business with Iran, or for Iranian companies needing efficient services, with competitive rates for international project management. We have gradually expanded our business networks and partnerships, based on our reputation for great results. The White Rose Business Group originally set up in Chahabar Free Trading Zone which placed us in the heart of one of Iran’s strategic import and export zones, as well as being an industrial heartland. This has helped our growth beyond simple freight forwarding services, to include custom brokerage and supply chain solutions for businesses looking to go international. The White Rose Business Group also has branches in 4 key locations in Iran, including: Tehran, Chabahar, Bandar Abbas and Sari. We are watching our industry grow exponentially year on year, as you will see in our blog and are optimistic for ourselves and our hundreds of clients who choose to return to us week after week, month after month. Reach a Wider Business Network. Save Time and Cut Costs. We understand that negotiating terms and services within foreign cultures can be challenging and time consuming. We pride ourselves on helping you reach a wider network of business partners and markets reliably, efficiently and affordably. The White Rose Group partner with over 100 high profile trading companies. Our powerful network makes us unique amongst competitors. To complement our international business connections, our robust local network with trading companies and local authorities will ease and speed up your business and logistics challenges. We work with any size of company or organisation wanting to do business with Iran, or looking to export to and import from Iran. Our twenty years’ experience in Trade, International Logistics and Freight Forwarding means our service is second to none. At the White Rose Group we will help you navigate internal and international markets with the minimum of fuss. Please give us your questions about the needs of your business in Iran or abroad by filling in our contact form. We love a new challenge. The White Rose Group looks forward to growing further alongside with you. The White Rose Group, as a holding company, have subsidiary companies offer building contractor and project development services. We can help with bring together the professional skills of reliable building surveyors, architects, quantity surveyors, engineers and project managers to realise your development plans. Our operations are not limited to the cities we have branches in; we cover activities across Iran and of course, our logistics and freight services are international. Please get in touch with your particular business development needs, even if you do not see direct reference to services you are looking for here on our website, but perhaps are connected to what we offer. If we can help we will. We love a challenge!